Monday (21/5) yesterday, Mercedes-Benz Trucks has invited media colleagues to come to Wanaherang, Bogor for longer streets to the factory. However, because the invite was Daimler's truck division, the factory visit this time only to the truck section, the normal car parts were not explored. The focus this time is to introduce the Mercedes-Benz bus and truck assembly facility, and all components come from Brazil or India. After the tour at the factory, Mercedes-Benz apparently had a new truck to be introduced. 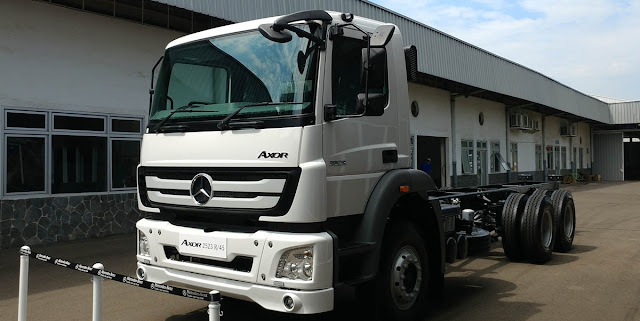 In order to complement their existing flagship Axor product line, Damler Commercial Vehicles Indonesia (DCVI) yesterday officially introduced the Axor 2523 R, the Axor variant with a shorter wheelbase, targeting Indonesia's logistics market. 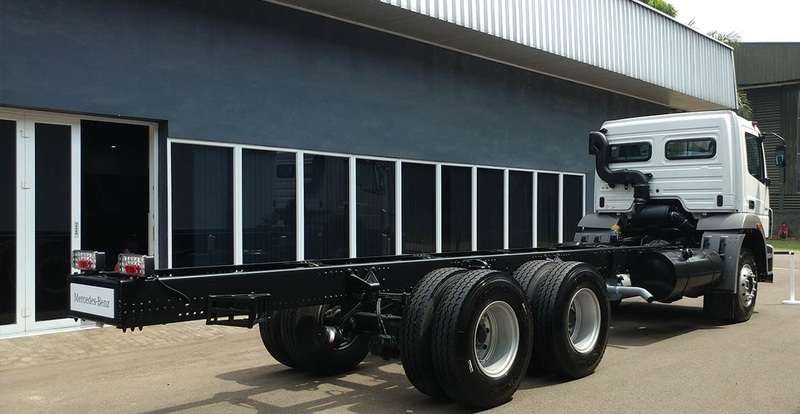 With this new variant, the DCVI is ready to respond more quickly and flexibly to the growing demand of the logistics truck market in Indonesia, particularly in the heavy truck segment. This latest model is also equipped with a variety of security features mainstay Mercedes-Benz, one of which is ABS, to meet the focus of the Indonesian government on transportation safety. DCVI has also demonstrated its commitment by actively promoting the driving safety of commercial vehicle drivers, especially trucks through its participation in various campaigns in Indonesia. 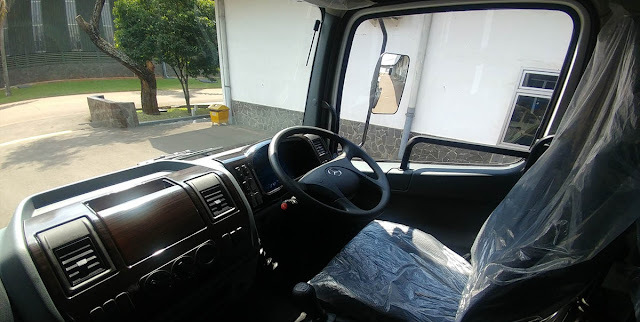 One of the campaigns is "Safety First, Efficiency Follow", a roadshow initiated by TruckMagz in 4 cities - Cilegon, Semarang, Jakarta and Surabaya, with the aim of educating truck drivers and business owners on how to drive care for the environment, safe and efficient. On this roadshow, DCVI along with safety defensive driving experts provide training for around 290 truck drivers in 4 cities. This is done to provide truck drivers with the ability to respond quickly and calmly in the face of dangerous situations. "Mercedes-Benz understands that safety, driving without accidents is important for Indonesia where major development projects to improve people's livelihoods are underway. We encourage all stakeholders to prioritize road safety and contribute to making traffic in Indonesia safer, "concluded DVCI CEO Markus Villinger. 0 Response to "Mercedes Benz Recommend Axor 2523 R With Short Wheelbase"